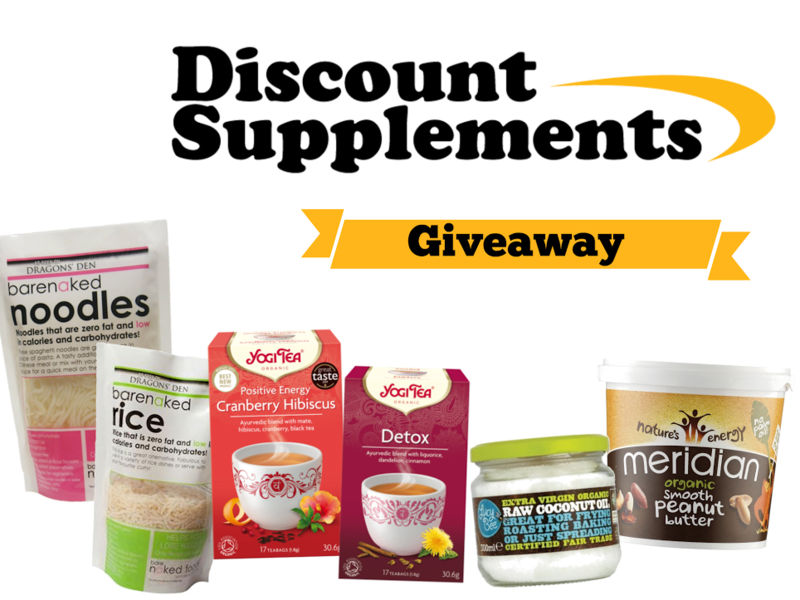 Today's post is a little different as I not only have a great article all about healthy eating and fitness but I also have a exciting giveaway, both of which are in collaboration with Discount Supplements which you can find at the end of this post. No matter what time of year, there is always a tidal wave of people signing up to the gym looking to get in shape. From getting ready for the beach to burning off the Christmas dinner, there isn’t a time when people aren’t looking to improve their fitness and drop a size or two. Roughly 5 million Brits are currently subscribed to a gym membership. Yet, with so many alternating views on what the correct diet is in this highly fitness focused world, knowing the best way to train and support your body’s nutritional needs is tough. Everyone has different variable factors that will affect the way their body processes food. Blood types, muscle compositions, age, weight, diet and general daily lifestyle habits will all have an effect. Understanding how to exercise properly, safely and effectively to fulfil your own personal objective is a great place to start and is one powerful tool to ensuring that you start to see the results you want. However, this is only half the battle. You could run all the hours god sends on a treadmill but if your diet consists solely of donuts, pizza and tequila you’re still unlikely to see any improvement, unfortunately. For vegetarians getting enough of the right nutrients into your system becomes even more of a priority when increasing your exercise regime. Protein is one of the primary food groups that your body needs to repair muscles. Meat protein is composed of 20 different amino acids, 9 of which your body cannot produce itself. These are called essential amino acids, and are essential to our diets. However, there are various Plant based proteins available such as Quinoa, Soya, Buckwheat, Hempseed, Chia and various Quorn products. These are great substitutes for any vegetarian diet and is one of the easiest ways to ensure that your body has the right amino acids to repair after an intense workout. I haven't but I really like the look of the coconut oil! Ohh this sounds fab! I've been following a Pescetarian diet for the past 3 weeks. So far so goood! Ooh I haven't tried any of these - they definitely sound interesting! Right now I'm really loving a simple rice, beans and broccoli combo with spices, but I do love a bean burger!